Good afternoon, dear customers and our followers! As you can see in our online shop Paulownia Professional, we have three priority varieties of industrial cultivation are Paulownia Z07, Paulownia ShanTong, Paulownia Elongata purebred. These varieties are the basis of successful cultivation, they are proven for dozens of years in different parts of the world and what is more important, they give spectacular results in the short term. 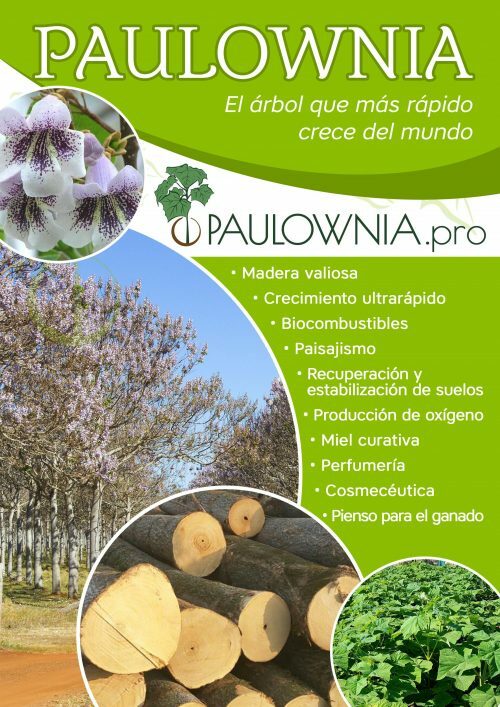 Each of these has its priorities of which you can obtain information on our Paulownia.Pro nursery Paulownia Professional page. and Elongata in 5 Liters, 8 Liters, and 50 Liters for home gardens, public parks, camping, town halls … Thanks to its beauty, flowering, rapid growth, shade and health we brings, purifying the air we breathe, paulownia little by little enters our life and awakens interest to nature lovers. We are for the work and actively prepare the company for fall 2018 and spring 2019. What does this mean? That means that by autumn 2018 we will have between 40,000 and 50,000 Stumps (plants between 0.5 meters – 2.0 meters with developed roots) and for spring the target is 200,000-250,000 plants of different formats in stump and green plant. We can produce plants, practically, in any format and sizes desired, by previous order. We issue phyto-sanitary certificates for countries outside the European Union, if necessary! We always look for the most economical solution to supply the plants to the client and defend their interest. It is very important before making the purchase or resolve any questions, contact us through our customer service email info@paulownia.com or mobile phone +34 642787555 (we have WhatsApp and Viber), where we will attend and provide all the information about our products.